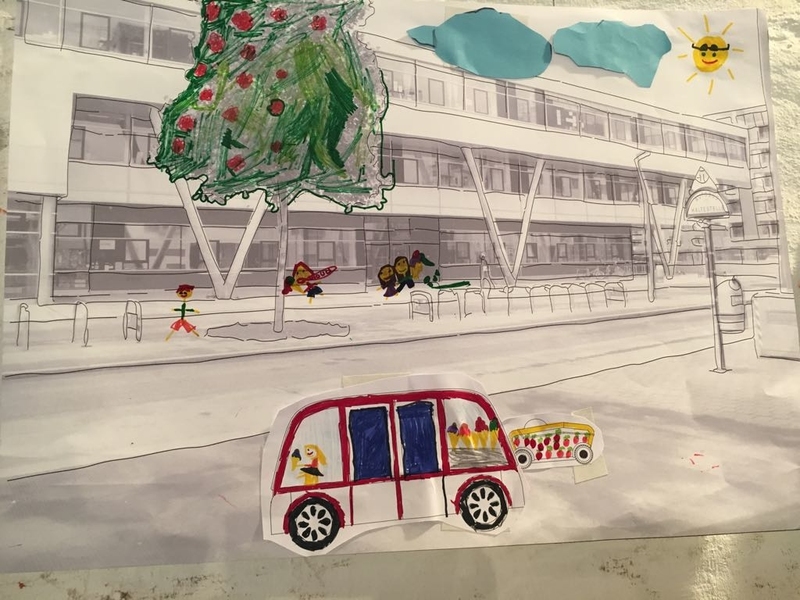 How do kids imagine driverless cars? Last friday, on the 13th of April, the Long Night of Science took place in all over Austria. The Long Night of Science acts as the biggest event for science-communication in Austria and aims to represent the countries research landscape in an interactive way. This year was record breaking, as the over 2500 venues counted more than 228.000 visitors all around Austria in one single night. We are happy that we had the chance to contribute and to have had so many interesting discussions with the participants. 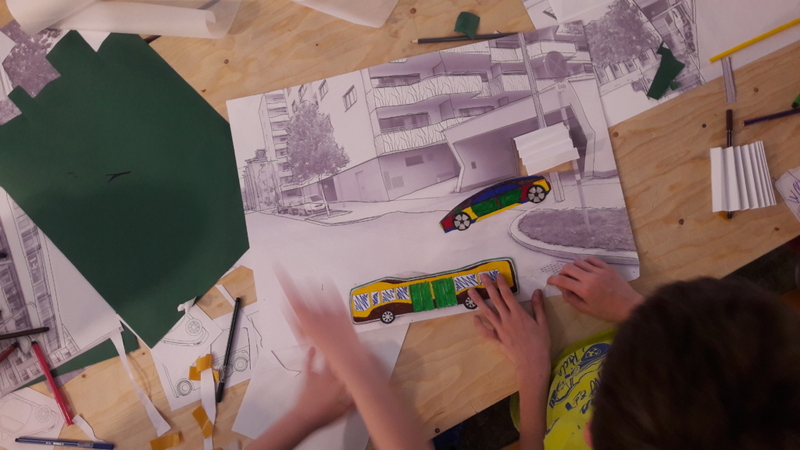 Our aim was to not only present our work to the public but also to encourage thoughts and imaginations of the future urban space and mobility under the influence of the autonomous car. Realising the potentials of selfdriving cars, kids improved their school with an autonomous icecream shuttle. 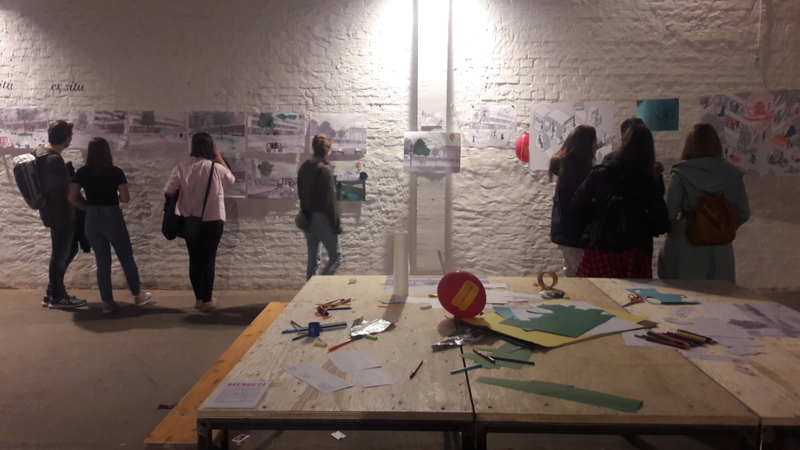 Five different photos of well know locations in the area of Nordbahnhalle and templates of different Use-Cases acted as anchors for the visitors to start the creative process. Participants could now draw, paint and stick their thoughts on the photos in order to show, how their future neighborhood would look like. This approach assured a playful reflection of personal mobility-patterns and the (infrastructural) manifestation of our urban mobility cultures. 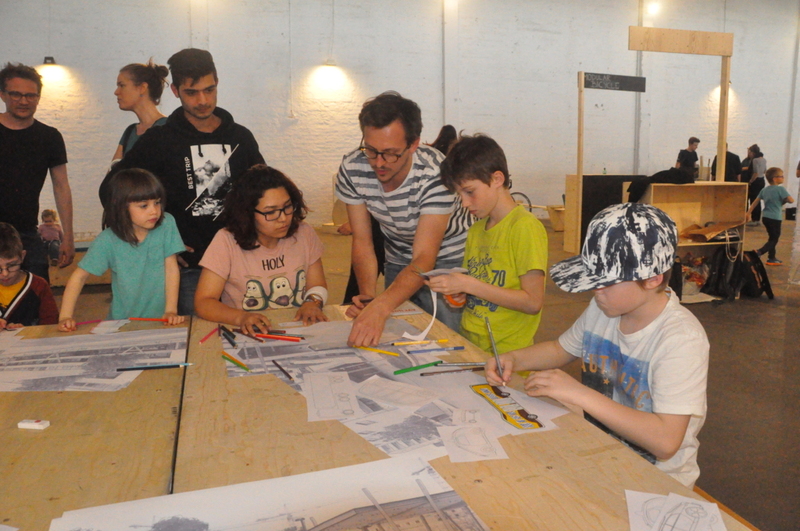 On this basis, we had many interesting discussions with the participants about how we move in our cities. 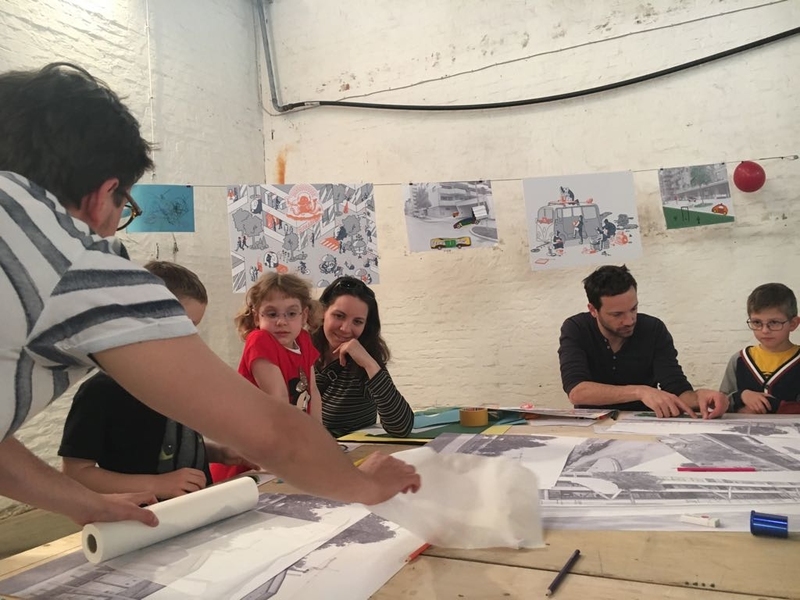 It was great to see the illustrated results of a reflected mobility culture and to spark thoughts on how future mobility systems and their manifestation in space could look like.